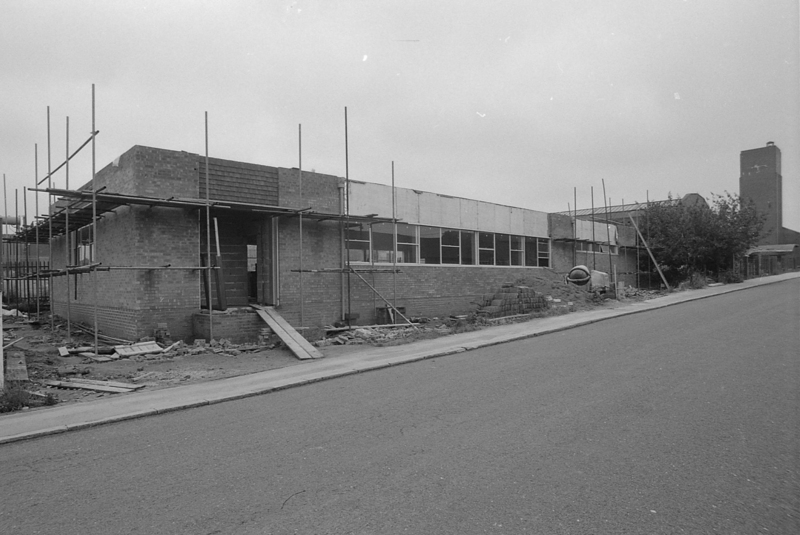 I am somewhat confused having come across the negatives of the first two photographs, the first one showing a building site, dated around July 1973 stating the ‘ New Sherwood Welfare’. The second one shows three men behind the bar, dated around December 1979 stating ‘Sherwood Welfare Opens’. · Are they different buildings? · Was it ‘officially’ opened well after it had been in use? · Is there an altogether a different explanation? 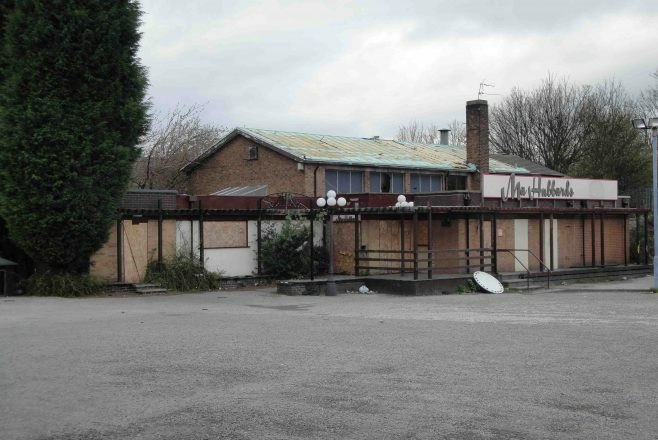 The last two photographs were taken for comparison on May 2011, of what I believe was the Sherwood Welfare before it became ‘Ma Hubbard’s’ after the closure of the Sherwood colliery and its Welfare. What a pity to see the building in such a state after all the enjoyment it had previously provided. Sherwood Colliery is the pit in Mansfield Woodhouse. Mansfield Woodhouse is part of Mansfield. I am not sure about a farm near Newcastle Street but perhaps someone else will be able to help you. Can anyone tell me the main coal mines that were in/around Mansfield Woodhouse around 1911-I am tracking my mothers family-they lived at 23 Newcastle St in 1911. My great grandfather was Arthur Butler-Coal miner but also it states that he was employed in agriculture. Were there any farms near Newcastle street? Mallinder became Assistant Manager at Sherwood Colliery. building run by Skip Wallace, before being replaced by the new brick building pitched as Ma Hubbards. My name is Stuart Mallinder with brother deceased Clive. The building in the first picture was situated opposite Sherwood Colliery, the building to the right was Sherwood Baths before the pit was closed. In the latter building was the pit cafe. Going on further up the road to the right led past the winding houses (on the other side of the road) then a few yards further up on the left is Sherwood Rise, built by the pit to house ‘key workers’. We lived in the first house, number 3a, my step father Len Fisher was one of the winding men. If you went left along the road in the photo it eventually led to Woodhouse road and the Woodpecker was on the left. The man on the right of the picture is Jack Able who used to work in the office at Sherwood Pit. 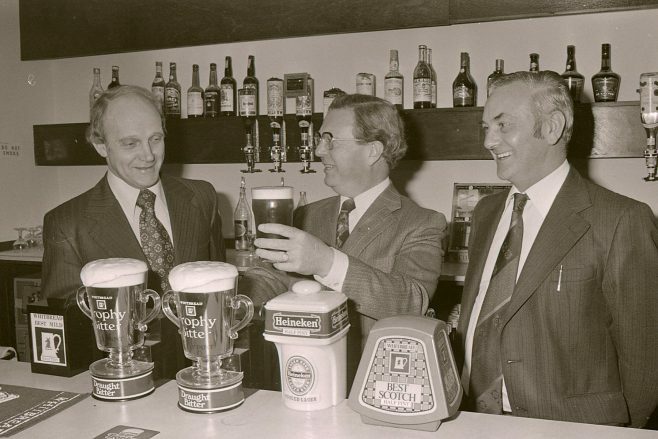 I think the man on the left is Mr Baker, the colliery manager. The two buildings are different ones. It definitely became Ma Hubbards right after The Woodpecker closed. I remember as I used to frequent there before it closed and then got a job in the Kitchen at Ma Hubbards a few months later. Confusion! The Ma Hubbards building is the site of the Boys Brigade HQ which originally was a Wooden Hut, then a brick built building was provided, it then became the Woodpecker Inn and not sure if Ma Hubbards came after or another name was on the site. 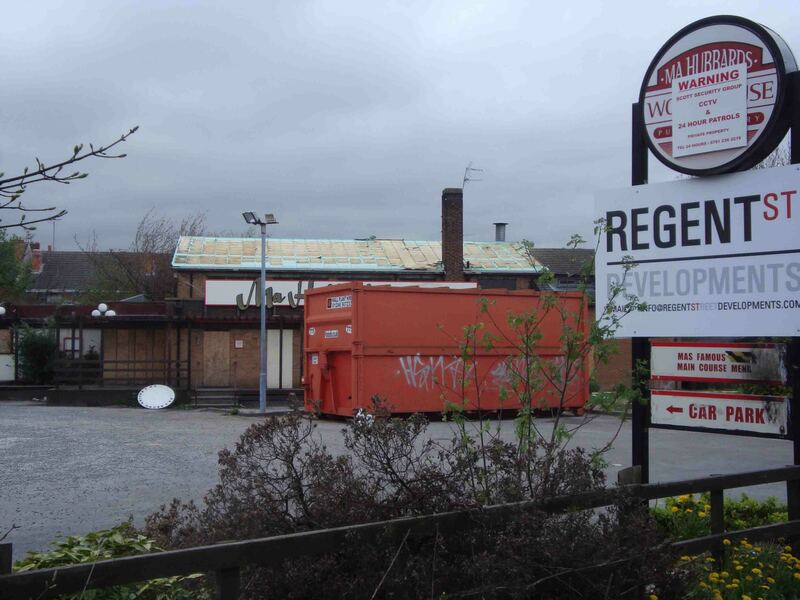 The Welfare was originally a wooden structure site about a 1/3 of a mile down Sherwood Rise near the Colliery Brickworks. The 1st picture is the building of the welfare Hall, this is still used and is situaed on Sherwood Rise. Sits behind the Rebecca Adlington baths.